If you're having trouble signing in, you may have entered incorrect account information, or your browser history may need to be cleared. Make sure you are using your TechBroker username. Passwords are case sensitive, so "PASSWORD" and "Password" are recognized as two different passwords. If you have a keyboard with a number pad, make sure Num Lock is on. Many computers come with a pre-installed Internet browser. 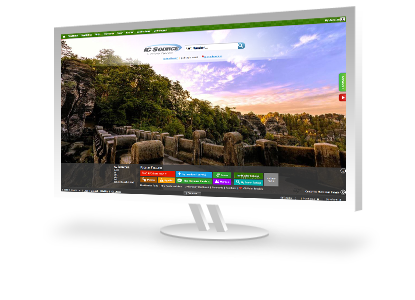 Some examples are Safari on Mac, and Internet Explorer or Microsoft Edge on Windows. TechBroker is also supported on Mozilla Firefox, Google Chrome, and Opera. 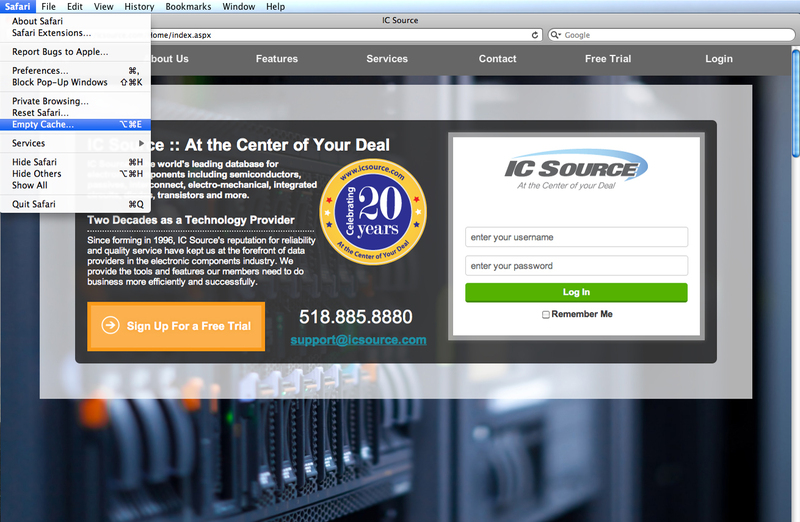 Verify you have the latest version of your internet browser installed by going to "Help -> About" in your browser. 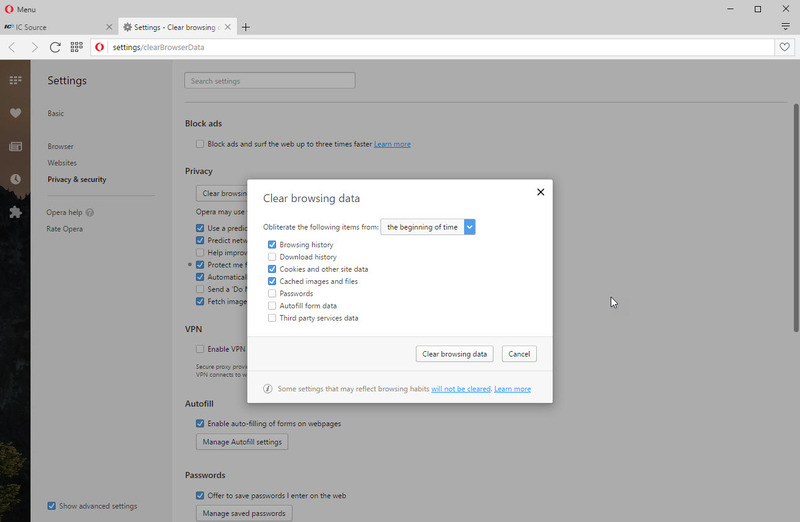 Select your internet browser below to learn more about clearing cache and cookies. It is recommended you close all applications and restart your computer after clearing your cache and cookies. 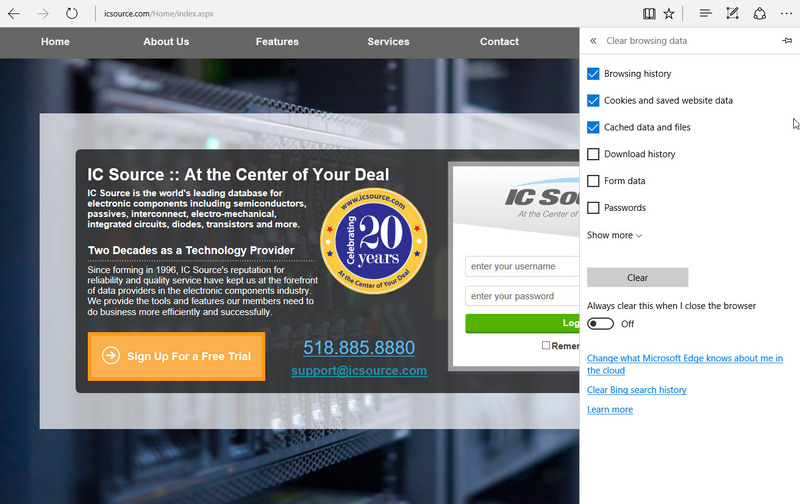 Click here to get detailed connection information. 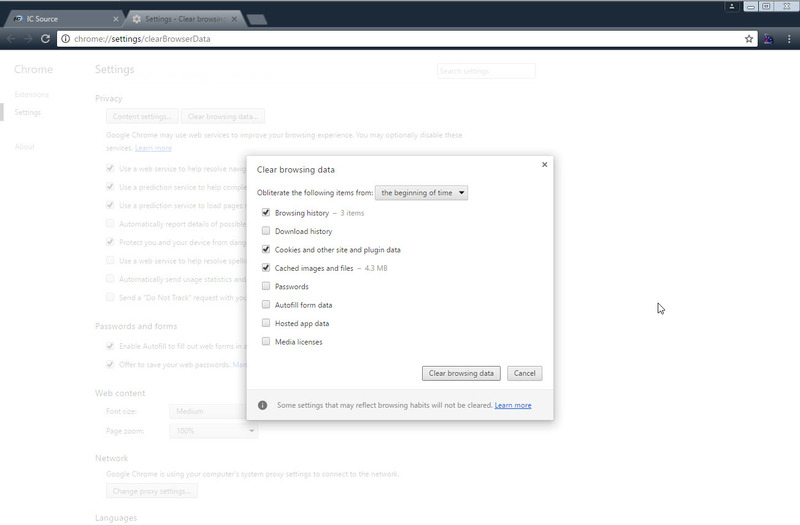 For IE 10, 11, Edge: enter "Ctrl + Shift + Del" on your keyboard to bring up the Clear Browsing History window. Type "Ctrl + Shift + Del" on your keyboard to open the Clear All History window. Make sure the Time Range is set to "Everything"
Type "Ctrl + Shift + Del" on your keyboard to open the Clear browsing data window. Make sure "the beginning of time" is selected under "Obliterate the following items from"
Make sure "the beginning of time" is selected under "Obliterate the following items from". For other browsers, your browser's "Help" menu will have instructions for how to clear the cache and cookies. Select the Menu icon on the browser toolbar in the upper-right corner. Select Show advanced settings at the bottom of the page. Select Allow local data to be set (recommended) under Cookies. Scroll down and select Done, then close the Settings tab. Select ... from the upper right corner of the browser. Under Advanced settings, select View advanced settings. Under Cookies, ensure Don't block cookies is selected. Click anywhere on the screen to close the menu. Select Remember History under the Firefox will: drop-down menu. Check the Override automatic cookie handling box. Select Accept under First-party Cookies. Select OK in the Advanced Privacy Settings window. Select OK on the Internet Options window. Select Menu from the upper left corner of your browser. Make sure the option Allow local data to be set (recommended) is selected. Close the Settings tab to save your new settings. Under Firefox will:, select Remember History. Close Preferences to save your new privacy setting. From the Opera menu, select Preferences. Close the Preferences tab to save your new settings. From Safari menu, select Preferences. Under Cookies and website data, select Allow from websites I visit.